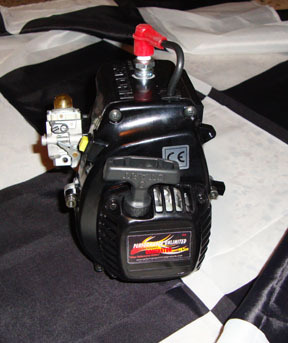 The Pro-Modified Zenoah 34 cc Engine that we modify for the HPI Baja 5B, T, SC and GoPed has the power like no other competitor's engine and we have exclusively CNC a proven design of a combustion chamber that allows a high compression ratio (17:1) and this design enables the use of regular 87 Octane fuel and not require any of the higher expensive octane fuels with no issues of detonation during normal use. Compression builds power more than any modification that is done to the engine and we modify the engine to take advantage of the power and still have a reliable powerful engine. Note: For HPI, Baja 5B, T, SC, GoPed, Helicopters and others. Some chassis might require slotting of the engine mounting holes. Note: For HPI, Baja 5B, T, SC, GoPed, Helicopters and some chassis might require slotting of the engine mounting holes.